Keep your airbrush in good shape! 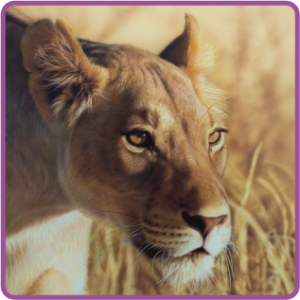 If you use airbrushes in your work or hobbies, you may find yourself acting as part-time artist and part-time airbrush technician. 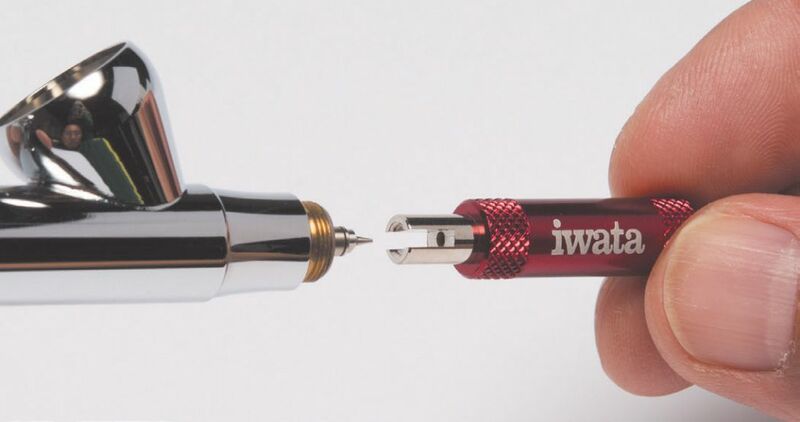 You have done the research, chosen the right airbrushes, and put in the practice-time so now it makes sense to keep those airbrushes operating at peak performance. While you endeavor to develop good technique and work habits, if you also adopt high standards of cleaning and maintenance you will be way ahead in the long run. Like so many things, the more you learn the better the experience is. 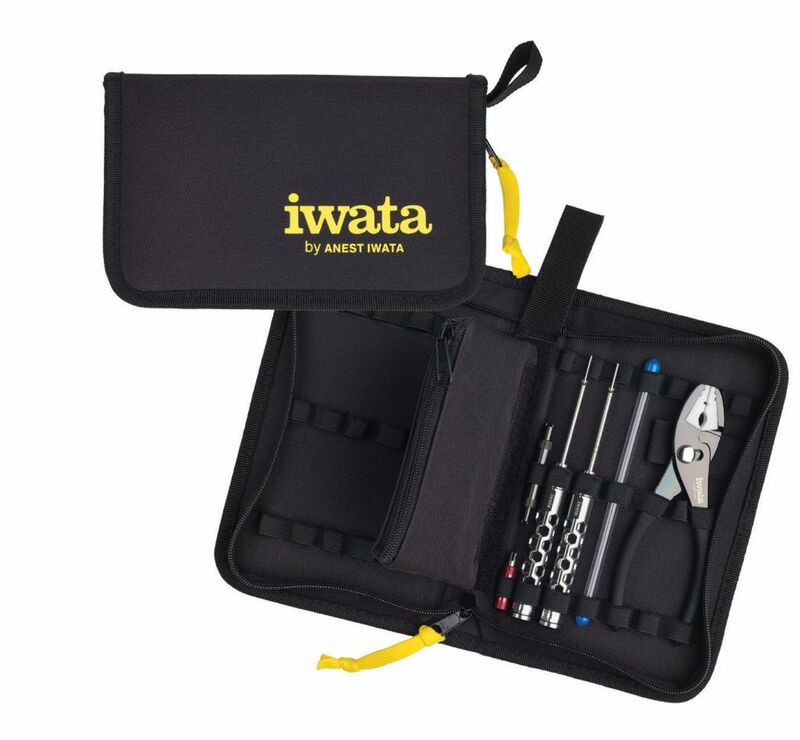 Iwata Needle Packing Screw Driver. Set of two. 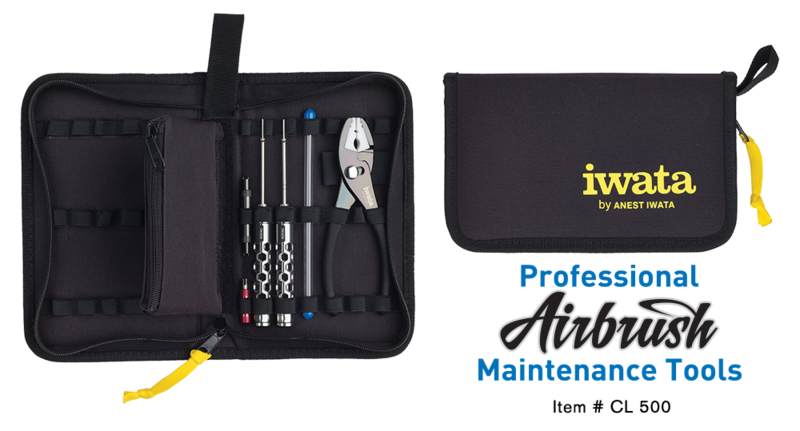 Iwata Air Valve Guide Wrench. 2-sided. 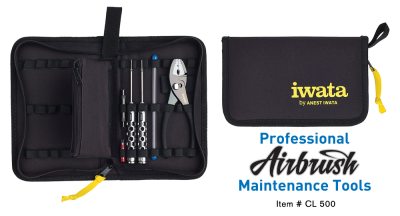 The Iwata Air Valve Guide wrench allows you to access the air valve parts for cleaning or replacing. The wrench has both small and large diameter ends that correspond to different Iwata airbrush models. The instruction booklet contains a listing of models and directs you to the corresponding wrench-end for that brush. Simply fit the wrench into the two slots of the air valve guide and unscrew. You can also loosen or tighten the air valve guide to customize the “push down” main lever tension to your ultimate preference. 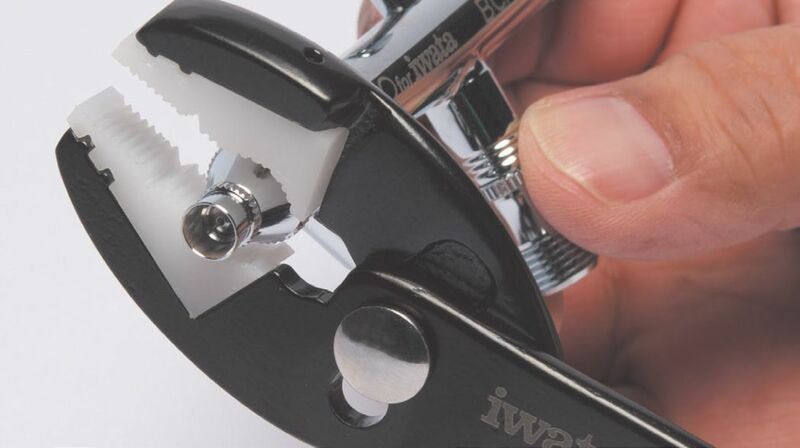 The Iwata soft Jaw Pliers can be used whenever you need to assemble or disassemble your airbrush. These pliers are so useful because the nylon jaw inserts grip firmly around the part without damaging the chrome surface. Use them to remove parts such as nozzle caps, needle caps and handles. No more marring chrome surfaces like with traditional pliers.